This Swedish farm is working to make farming more sustainable. Owe Pettersson worked in insurance and finances for decades before becoming the chief executive at Plantagon, an indoor farm that recently opened in Sweden. 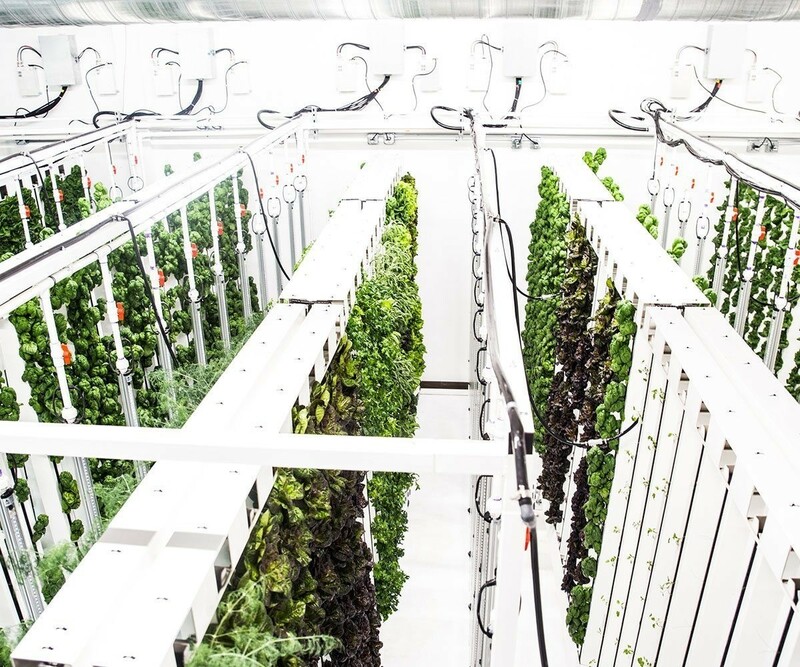 Pettersson told The Huffington Post that indoor farming is the next big thing, and Plantagon is at the forefront, saying, "This will be one of the most advanced food factories located in a city that we have today." Indoor farming has become far more popular in recent years, as technology has become even more precise, allowing large amounts of greens and fresh produce to be produced in urban environments with both minimal space and far smaller amounts of water than on a traditional farm. For example, it can take as many as 34 gallons to produce a head of lettuce, but Plantagon claims they can produce their crops at about .25 gallon for the equivalent weight in crops. Plantagon is building on the newish concept of "agritechture," meaning combining agriculture, technology, and architecture so that the process of growing food is more seamlessly integrated into people's lives. It's also seen as a way to limit travel time for food and the carbon footprint of preserving and transporting organic materials. An issue their model has attacked is the waste of heat energy produced by the LED lights the plants are exposed to for photosynthesis. The plants only use about one percent of the light produced by the bulbs, and the rest of the energy generally escapes as heat. Plantagon is capturing 70 percent of this heat and using it to warm the building above the 65,000 square foot farm basement. Oxygen produced by the crops is also pumped into the building's air conditioning system. Pettersson explained that these sorts of circulating systems help make having a Plantagon system in the basement an exciting prospect to landlords. “This is the basic way we get interest from real estate developers to rent out their basements or other spaces to us,” he said. What are vertical farms, and can they really feed the world? And that's pretty important, because the most prohibitive thing for indoor farming is the expense of installation. “Most projects are difficult to make economically viable because they tend to focus only on the technology and the growing. You also need to find a business model that works," he added. Indoor farming is an exciting concept, but a controversial one. Some critics suggest that powering a hydroponic system is far more wasteful than using the sun's energy to grow plants outdoors—though Plantagon is solar powered. Other data suggests it would be difficult to really feed a city from an indoor system, which has limitations on the size and variety of crops in limited space. But it is an intriguing experiment that has had some success in arenas that have a high demand for freshness and variety, especially in restaurants.